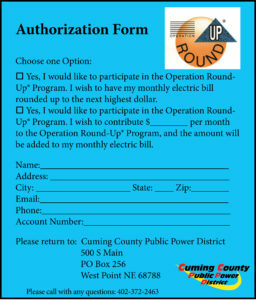 Customers have the choice of participating in Operation Round Up® with any or all of their accounts. Participating account bills are rounded up to the next highest dollar amount or you can specify the amount you want to give (see blue form to right). The extra money is put into the Operation Round Up® fund. 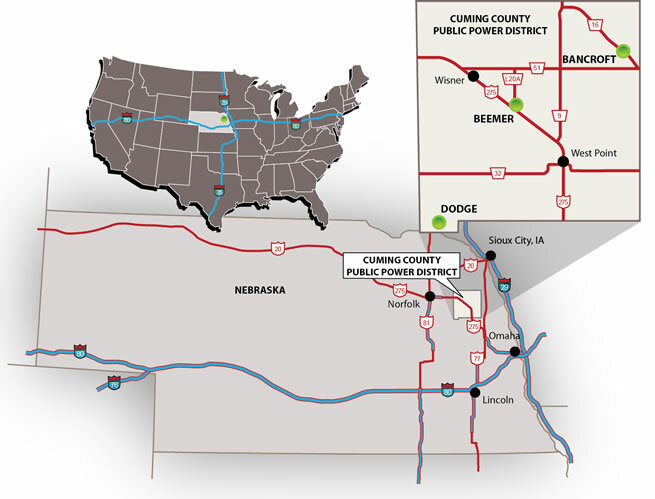 The fund is then dispersed twice a year by the Operation Round Up® Board. There is a meeting at the end of March and one at the end of September. Customers can enter or be removed from the program at any time. Operation Round Up – Individual/Family Application for funds. Online Form – Individual/Family Application for funds. Operation Round Up – Organization Application for funds. Online Form – Organization/Agency Application for funds.